Leinster have seemingly been handed a soft start to their Heineken cup defense after today's draw for the Heineken cup group stages. Of the four Irish representatives only Leinster and Munster were first seeds. Munster landed in Northampton's group once again as well as tough trips to Wales to face the Scarlets and France to face Castres. Munster will need to perform much better than they did in this season's competition if they are to have any chance at advancing past the group stages. Northampton will be their toughest test. Last year's beaten finalists will need to use that disappointment to fuel their next campaign which could spell trouble for Munster. However it could work the other way as Northampton are a young team that may come back with a vengeance. Either way they definitely have the talent to top the southern province once again. Leinster should have smooth sailing towards the knockout stages providing that they don't overlook their opposition. The defending champions easily have the most talent of the four teams in their group. Bath are a good Premiership side but won't be feared across Europe while Montpellier and Glasgow should be outclassed by the Irish side. Ulster were unlucky to lose out during this years competition after escaping the group stage. 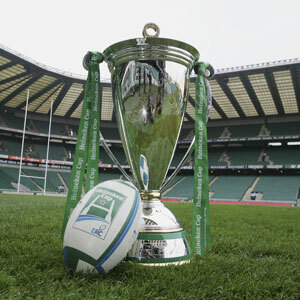 This year they will be doing well to escape the group as they face tough trips to play Clermont and Leicester. They will be disappointed not to get the better of Aironi and could realistically get out of the group but it is going to be a struggle. Connacht's first venture into the Heineken cup in recent times hasn't come with any beginner's luck. Connacht conceivably could lose every single game in the group. Toulouse, Harlequins and Gloucester are all formidable players in European rugby. Their toughest test will likely be Harlequins as an emerging side but both ties against Gloucester should be seen as winnable by the inexperienced side. The Heineken Cup is likely to be an exciting venture for the whole of the country with all four provinces in the Heineken cup. Munster and Leinster will obviously be the country's best chances at keeping the cup in Ireland but an emerging Ulster side will be intriguing to watch while everyone will be supporting the Connacht fairytale.